Fall is upon us, and horror movie season is here again, so let’s explore one of the most classic villains in the book, the spookiest of them all, let’s talk witches! Just to clarify, these witches are way more New Age than Hocus Pocus, but they’re undeniably witchy none-the-less. To get some questions answered, I talked to Mari Powers, a minister at Circle Sanctuary and self proclaimed student of world religions, metaphysical phenomenon and spirituality. 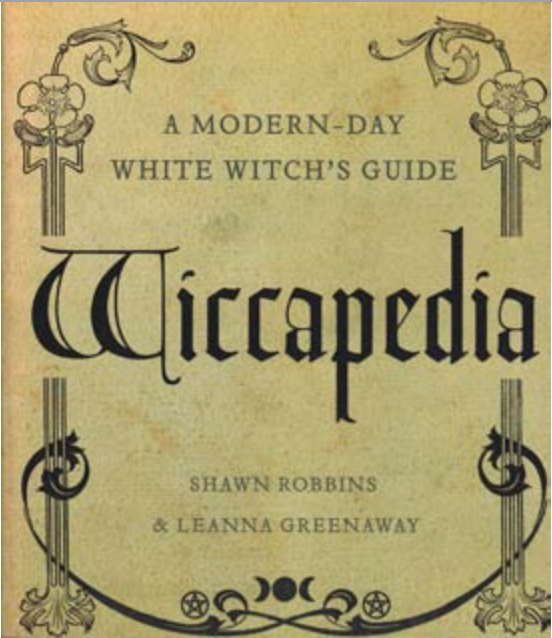 How would you differentiate Wicca, Pagan, and witchcraft? Pagan is an umbrella term for people who define themselves as Earth centered, positive path. Underneath that umbrella are Wiccans. Some old Pagan practices, some views on ethics and philosophy that they share in common are they practice eight holidays a year, at regular six week intervals, and they have a type of ceremony. It can be a lot of laughter and song and music and poetry as well. There may even be story telling involved. Witchcraft on the other hand, or when someone says “I am a witch”, they may be taking from a variety of different traditions that are a little more eclectic than Wicca. It has more to do with the craft, and that can mean anything form making your own candles and charging with energy, all the way to using your psychic abilities to connect with other sentient beings and navigating your way through altered states of consciousness. What do you yourself practice? I call myself a witch, but I also honor and realize that I represent a Wicca church. I am also open to all positive spiritual paths, even if they don’t self identify as Pagan. You can find them within Christianity, Hinduism, Buddhism. You can find a mystical aspect in just about any religion. So, I personally am open to that, because that’s part of what I do as a spiritual practice. Being that you are a witch, what do you find is the most common misconception about witches? Oh, some people will think you’re doing it for selfish reasons, or that you’re deluded, or that you’re in cahoots with evil forces in the universe. And some people even consider you a threat to their own beliefs or way of life. That’s very disconcerting because those are misconceptions. Of course we have people within the Pagan community, a few bad apples, you’re going to find that, but we don’t encourage that, and we try to distance ourselves very quickly when we realize it. Witches are very stereotypically associated with Halloween, is there a basis for that association? Absolutely! There’s a strong base for that. That is one of our high holidays, we consider it to be what we call the witch’s New Year. It’s the final harvest. In our climate there are three harvests, and it’s the final one, getting ready for the dark time and putting away the last of the fruits and vegetables, and beginning to perhaps do some hunting. It’s also a time of letting go and bringing in the new. At that time we honor our ancestors, and that is a hugely important practice to many people especially under the Pagan umbrella. We believe that those who are remembered live, and the veil between the physical and the invisible is thin at this time of year. What are some of the most common ways witchcraft is practiced? As individuals, we practice to improve the quality of our own lives through meditation, self care, ceremony and learning. In community we come together to celebrate, support, commiserate and sometimes take actions in common together to improve the standing of the world. You’ll also find us burning candles and incense, and using music and dance and drumming and things like that to help us get into the correct head heart space to do the spells and so on together. Finally, we are very creative people. There’s a lot of real craft within the craft, whether its canning, gardening, making jewelry, painting or music. What is your favorite way to practice? I really like doing weddings and other right of passage ceremonies, could be a coming of age, a coming into elderhood, funerals or child blessings. Those are the things I like to do. On a personal level, I like to make fairy houses. What are some ways for people interested in getting involved to try it out? Well, you can not experience through books, but you can learn the common language, and so you could read some of the classics like The Spiral Dance or Wicca: A Guide for the Solitary Practitioner. Also, take a look at Circle Sanctuary’s website, which has lots of free information and articles on it, as does Mimosa.